At Pharming Healthcare, our priority is making sure your patients have access to their prescribed HAE therapy. 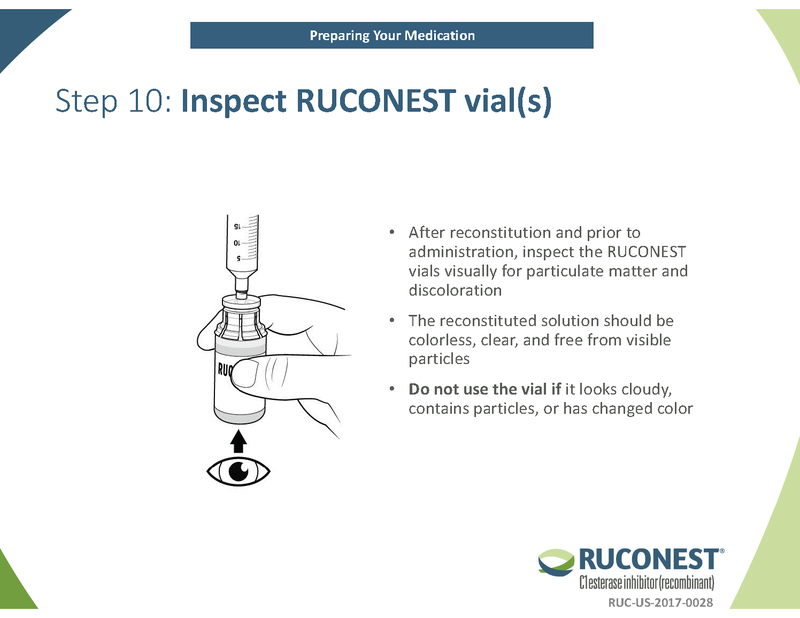 RUCONEST SOLUTIONS offers support that's tailored to meet the individual needs of anyone that has been prescribed RUCONEST to treat their HAE attacks. 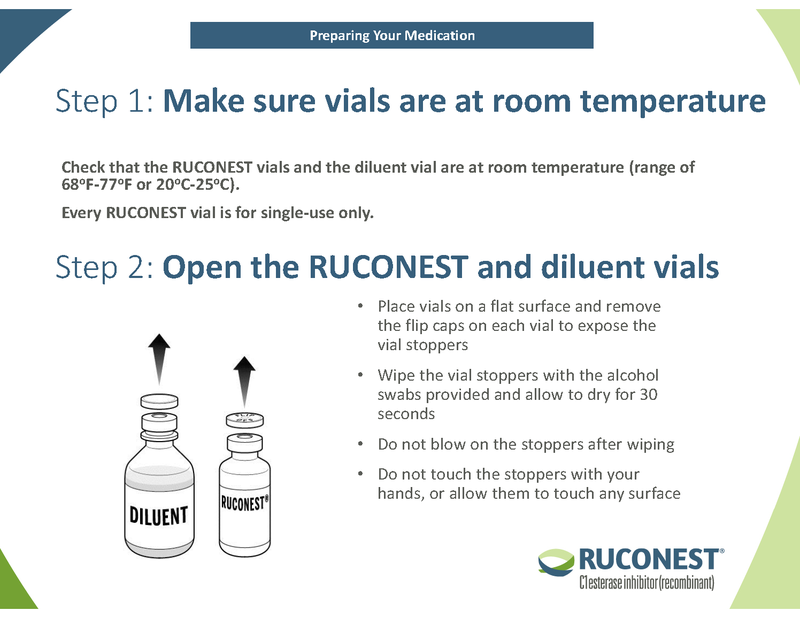 RUCONEST SOLUTIONS offers services that not only help patients get started with therapy, but also supports them throughout their RUCONEST journey. 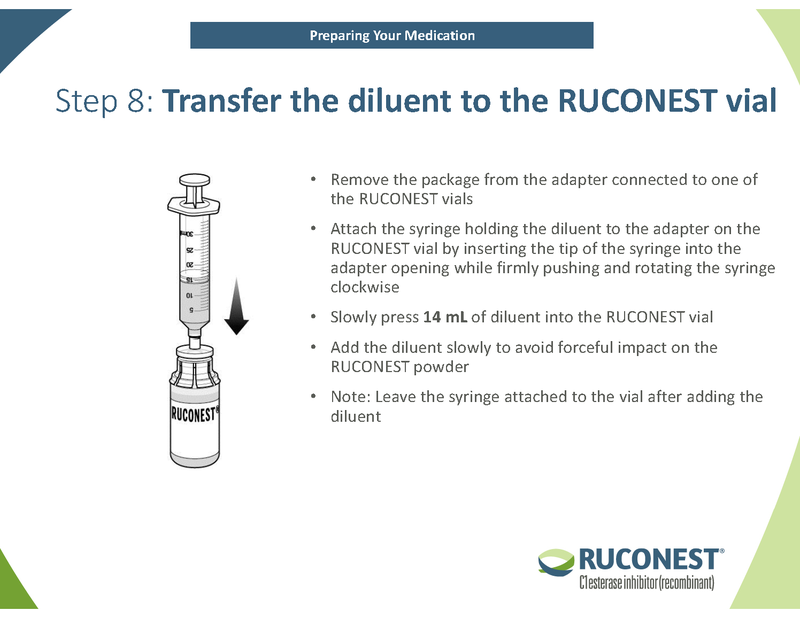 RUCONEST SOLUTIONS is designed to help provide access-related support once you have decided that RUCONEST is the right HAE therapy for your patient. 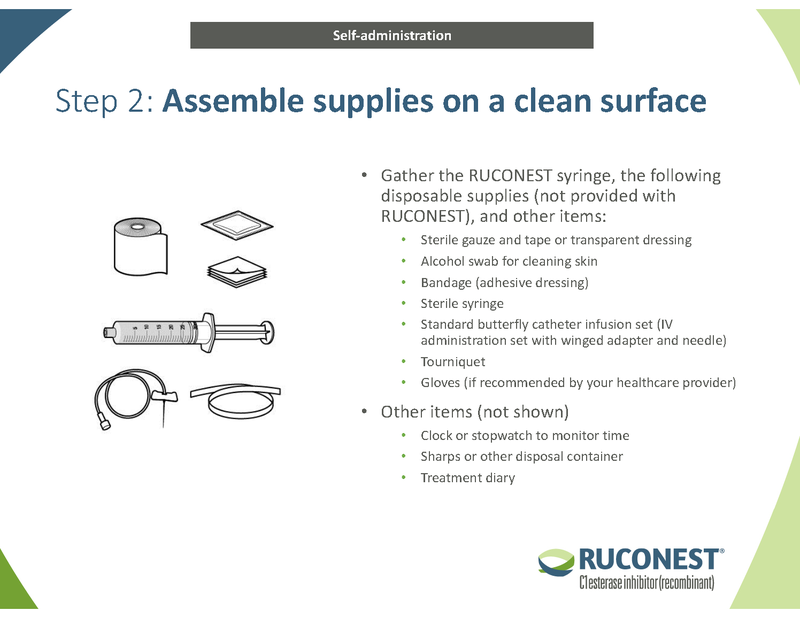 The RUCONEST SOLUTIONS Patient Support Program is not intended to be a substitute for regular consultation with a healthcare provider regarding management of HAE and RUCONEST treatment. 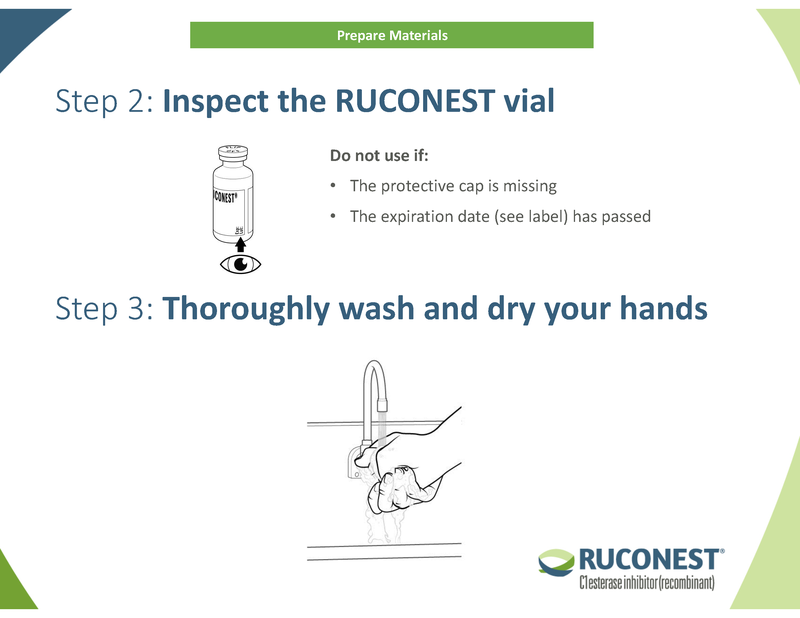 To learn more about RUCONEST SOLUTIONS, call 1-855-613-4HAE (4423). Every RUCONEST SOLUTIONS nurse understands the complexities of living with HAE, and is committed to each of their patients and the HAE community through dedicated live support. Nurses are available for any questions your patients may have, and will follow up with them to ensure they have everything they need. 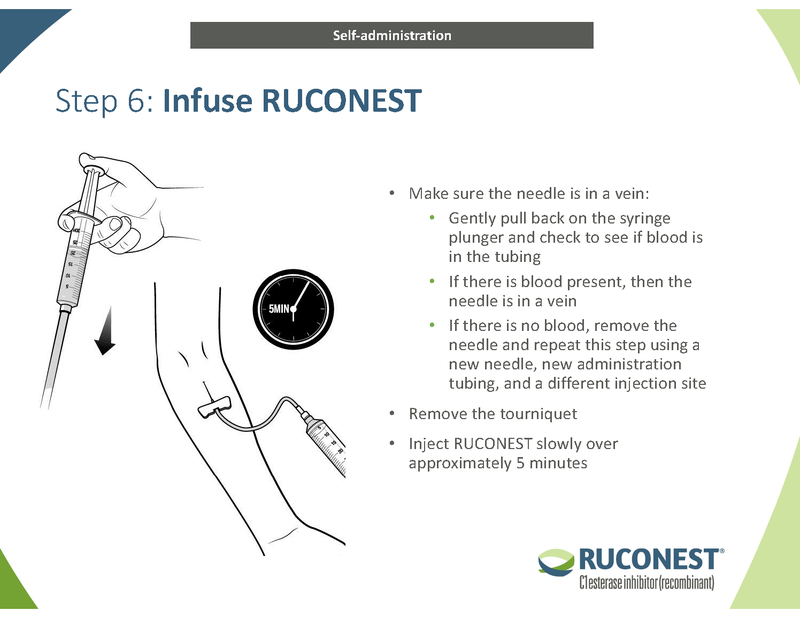 RUCONEST SOLUTIONS nurses are available from 8 AM to 8 PM Eastern Time—Monday through Friday—to answer any questions about HAE and RUCONEST. We understand that it may take time to confirm coverage for a new HAE therapy. 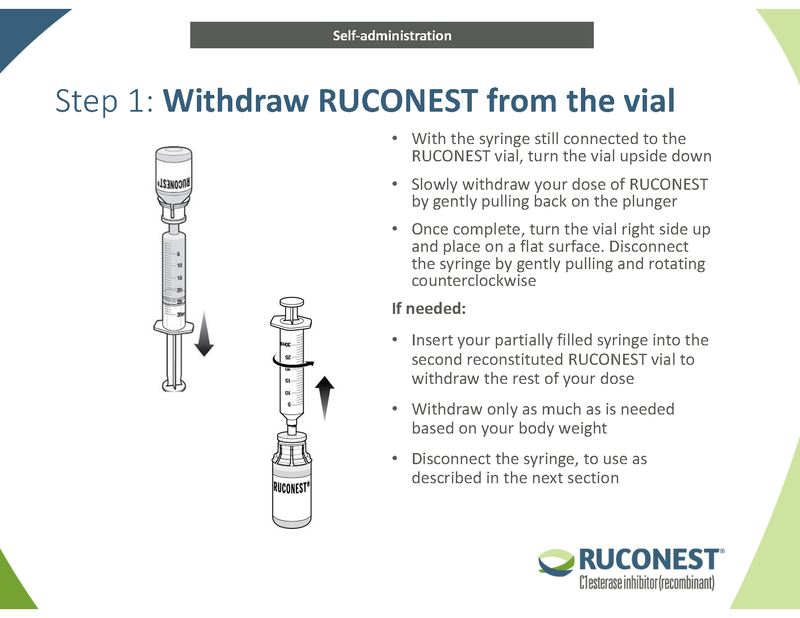 Eligible patients new to RUCONEST therapy will receive up to 4 free vials—or 2 doses—of RUCONEST to begin their treatment.b During this time, we will work with your patient—and their insurance company—to help get RUCONEST covered. 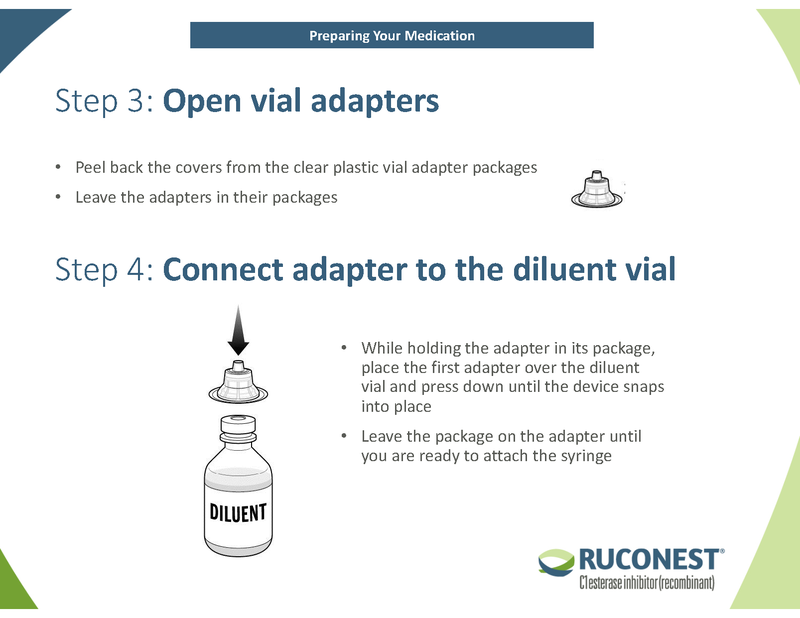 If your patient is having payer access-related delays, and they have already utilized their RUCONEST StarterRx, they may be eligible for the Bridge to Therapy Program to avoid a gap in therapy. 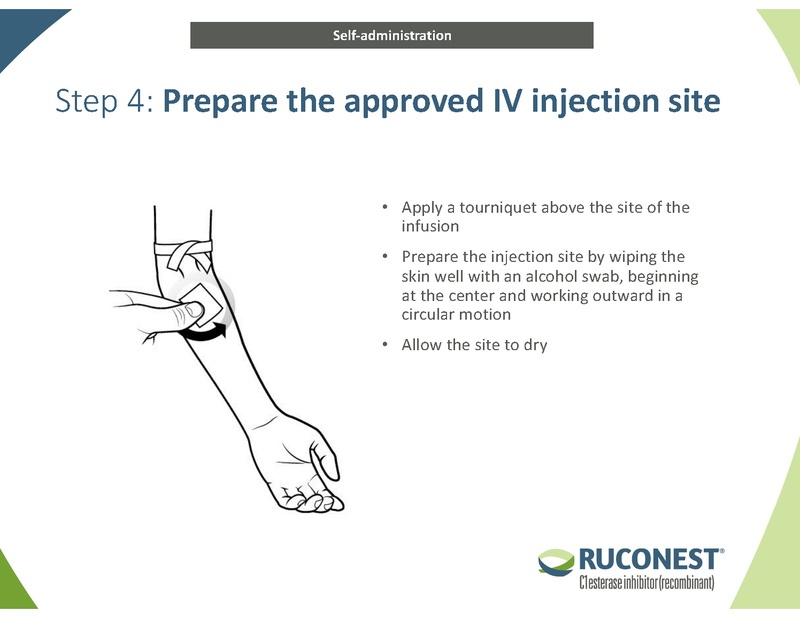 Once you complete the RUCONEST SOLUTIONS Patient Enrollment and Patient Authorization Forms, our nurses will coordinate with your patients to determine the best date and time for in-person IV injection training. A dedicated nurse will train your patient as many times as needed, until they are comfortable administering RUCONEST on their own. RUCONEST SOLUTIONS can offer copay support to patients. The Patient Savings Program is available to patients who meet the predefined eligibility criteria (ie, HAE diagnosis, below a certain income threshold) to help with costs associated with RUCONEST therapy. RUCONEST SOLUTIONS will work with your patients to understand what type of copay support they may need. 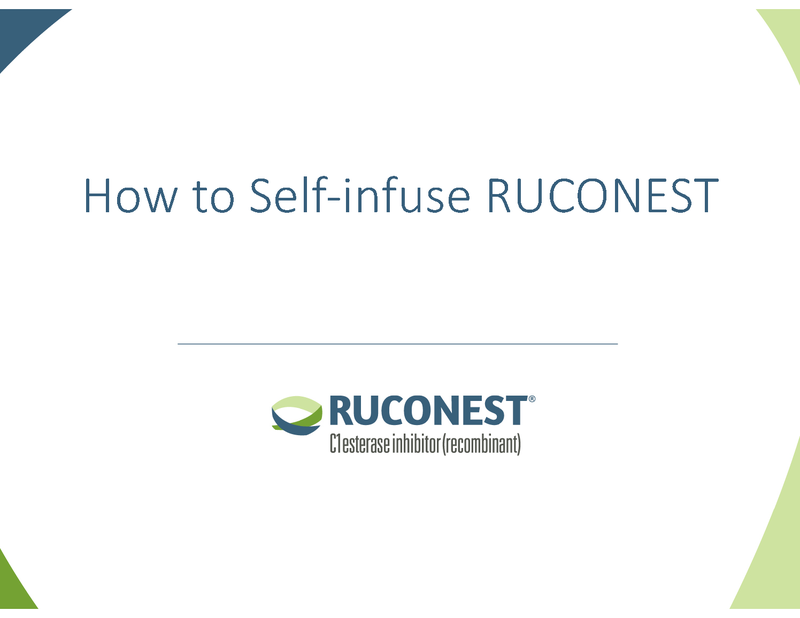 To learn more about the RUCONEST Patient Savings Program, please call us for more information at 1-855-613-4HAE (4423). If your patients’ insurance does not cover RUCONEST, or if they do not currently have insurance, they may be eligible for the RUCONEST Patient Assistance Program. The Patient Assistance Program provides RUCONEST free of charge for those who meet the prespecified eligibility criteria. Patients who qualify for the Patient Assistance Program will also be eligible for nursing services. 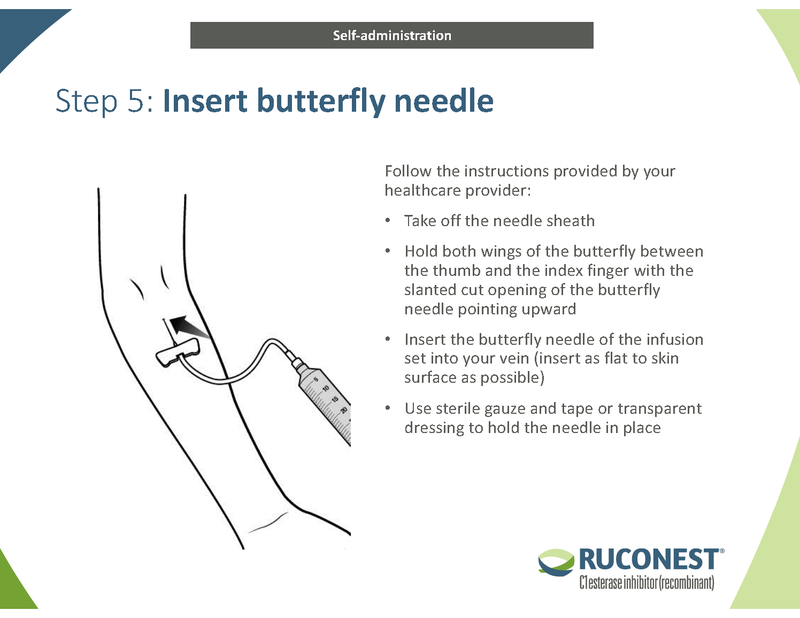 To apply for the program, you will need to complete a Patient Assistance Program Patient Enrollment Form and provide a valid prescription for RUCONEST. 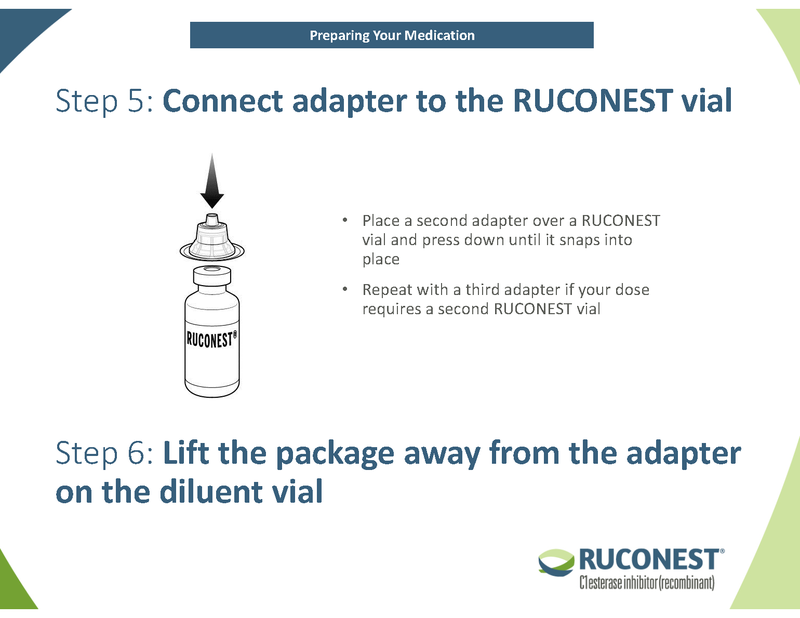 Once received, the RUCONEST SOLUTIONS Patient Assistance Program will evaluate your patients’ coverage or insurance situation, and reach out for more information. 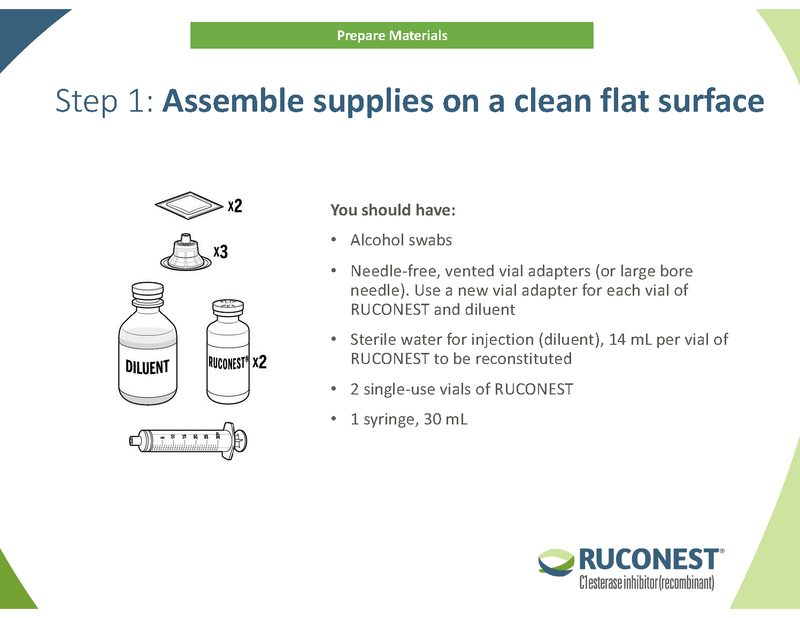 If approved, you will be notified and informed on how to have RUCONEST shipped to your patients’ home. For more information, call 1-855-613-4HAE (4423). aAvailablity subject to geographic location. 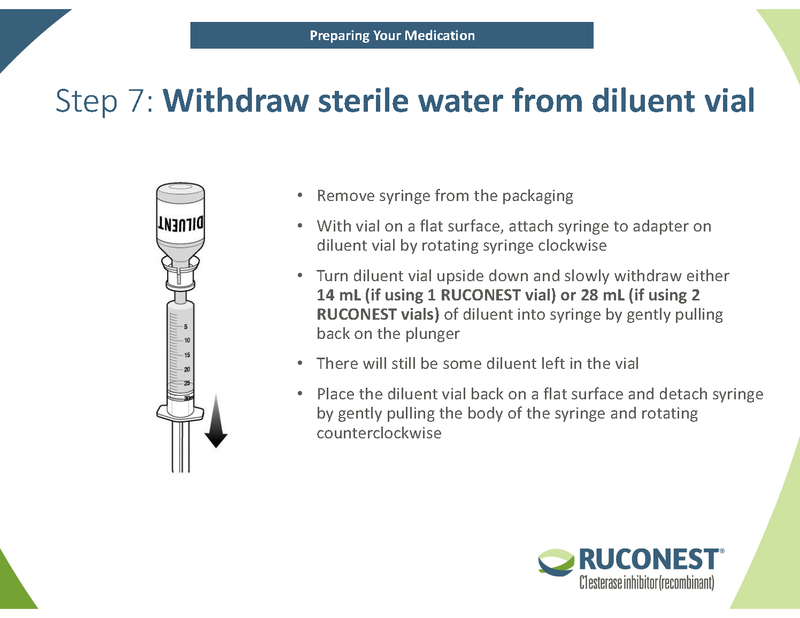 bPatients new to RUCONEST may be eligible for a free trial (up to 4 vials or 2 doses). Free trial offer is subject to modification or cancellation at any time, with or without notice. 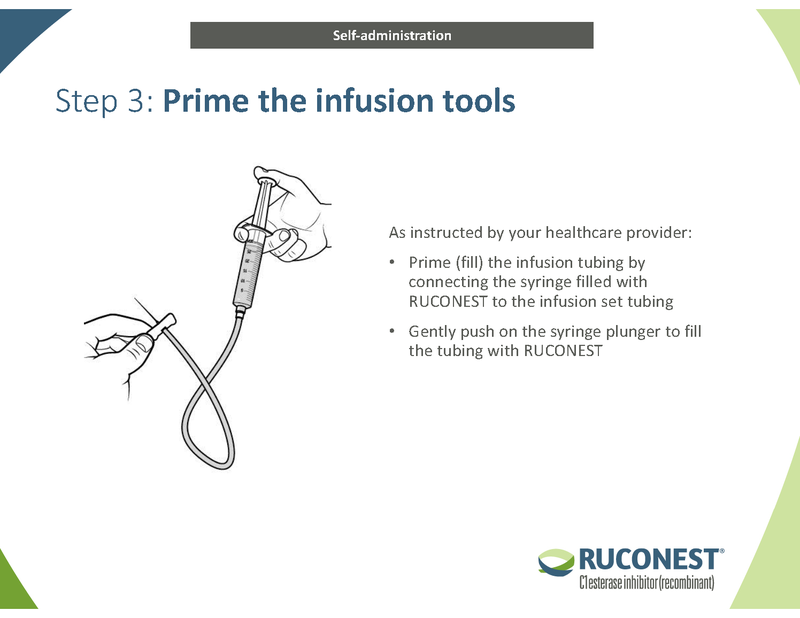 Complete the enrollment form to get your patients started with RUCONEST SOLUTIONS. 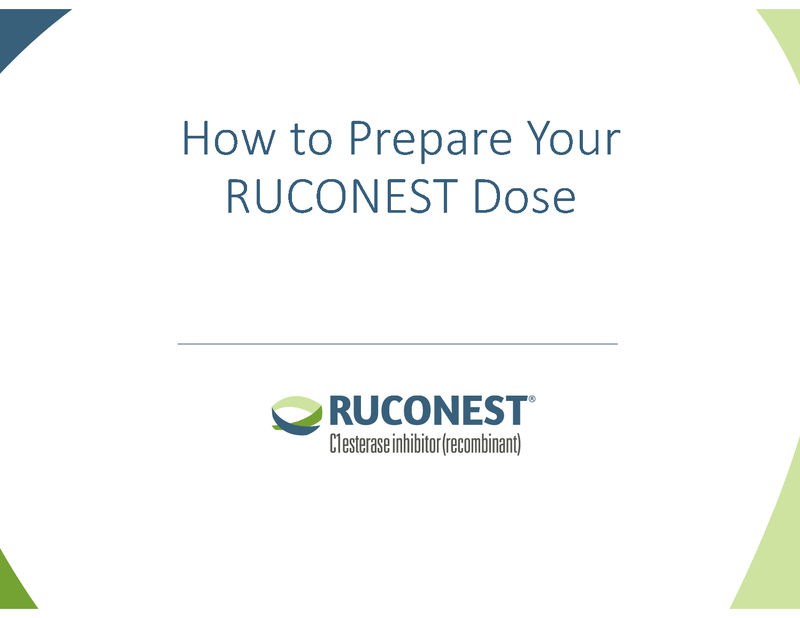 RUCONEST is indicated for the treatment of acute attacks in adult and adolescent patients with hereditary angioedema (HAE). Effectiveness in clinical studies was not established in HAE patients with laryngeal attacks. 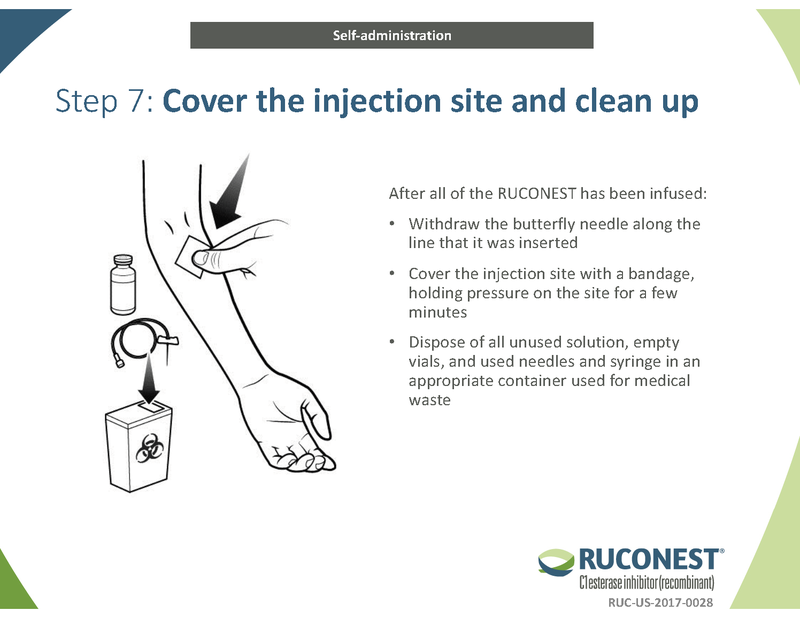 RUCONEST is contraindicated in patients with a history of allergy to rabbits or rabbit-derived products and for patients with a history of life-threatening immediate hypersensitivity reactions, including anaphylaxis, to C1 esterase inhibitor (C1-INH) preparations. Monitor patients for early signs of allergic or hypersensitivity reactions (including hives, generalized urticaria, tightness of the chest, wheezing, hypotension, and/or anaphylaxis). Should symptoms occur, discontinue RUCONEST and administer appropriate treatment. Serious arterial and venous thromboembolic (TE) events have been reported at the recommended dose of plasma-derived C1-INH products. Risk factors may include the presence of an indwelling venous catheter/access device, prior history of thrombosis, underlying atherosclerosis, use of oral contraceptives or certain androgens, morbid obesity, and immobility. Monitor patients with known risk factors for TE events during and after RUCONEST administration. Appropriately trained patients may self-administer RUCONEST upon recognition of an HAE attack. Advise patients to seek medical attention if progress of any attack makes them unable to properly prepare or administer dose of RUCONEST. The serious adverse reaction reported in clinical trials was anaphylaxis. The most common adverse reactions (incidence ≥2%) were headache, nausea, and diarrhea. 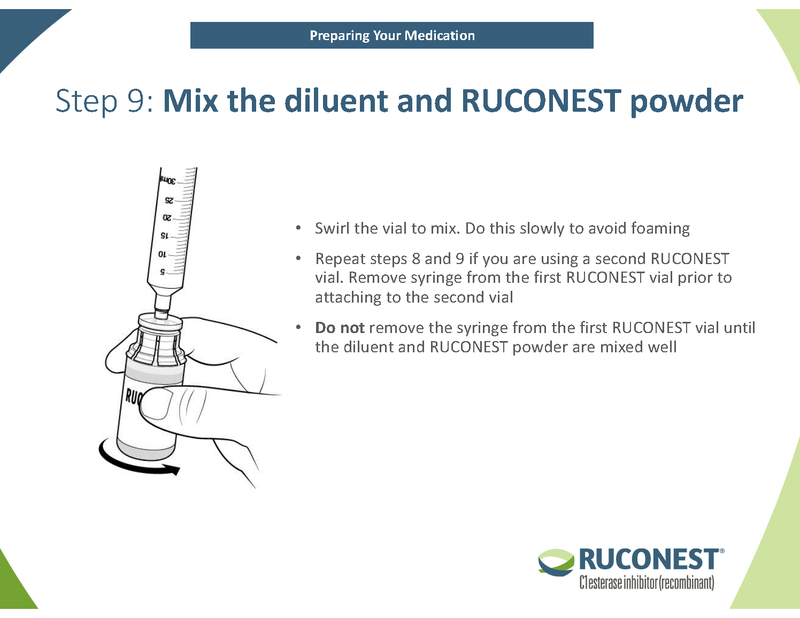 Before prescribing RUCONEST, please read the full prescribing information by clicking here.